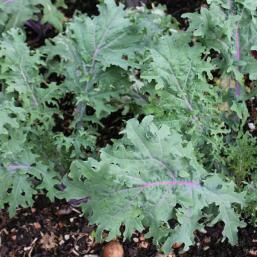 Kale Brassica oleracea Acephala group. Borewort, Colewort, Collards. 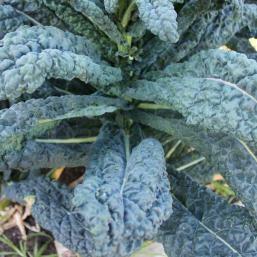 Kale is a highly productive, reliable and resilient primitive form of cabbage that produces great curly greens over a long period. 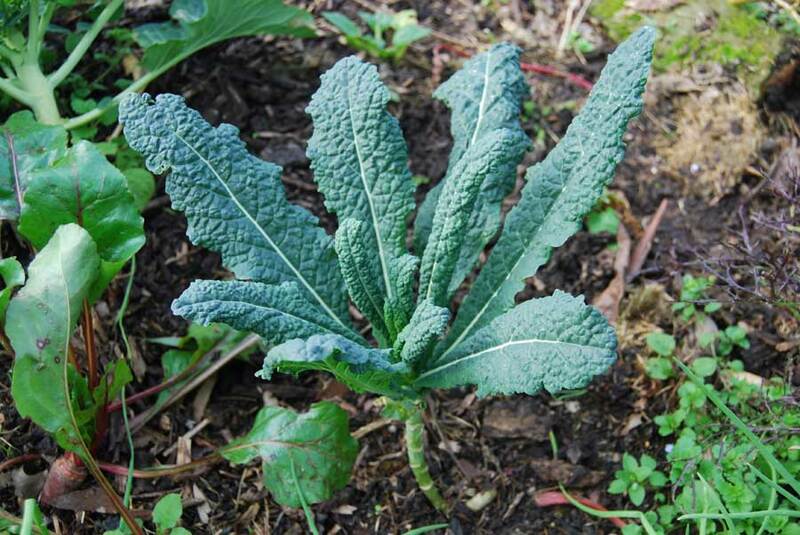 One those vegetables that during winter you’ll be glad you planted as it offers up wave after wave of nutritious leaves ideal for steaming and stir-frying at a time when lush leaves can otherwise be scarce. 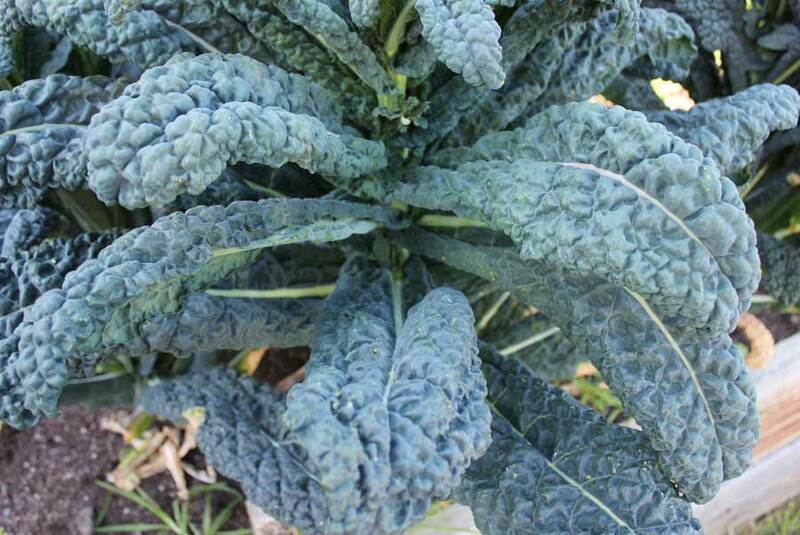 Ounce for ounce, Kale has more than 15 times the vitamin C content of carrots. 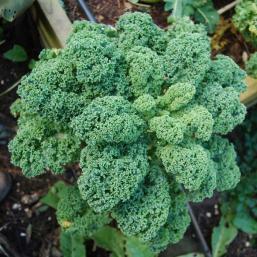 Like other brassicas – cabbage, broccoli, brussels sprout - It is also a good source of iron. 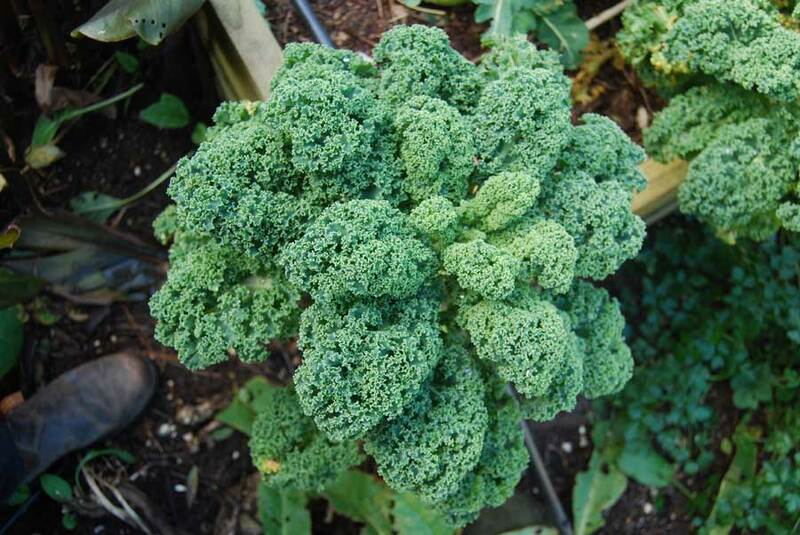 The foliage is not only nutritious and delicious but eye-catching too which sees it often planted in flower beds for decoration. 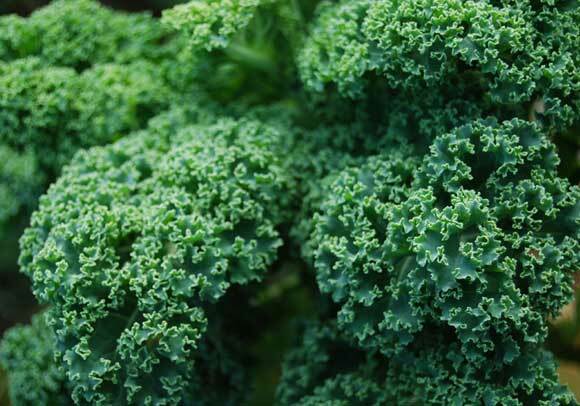 Start your kids eating kale as young as possible to broaden their palettes. 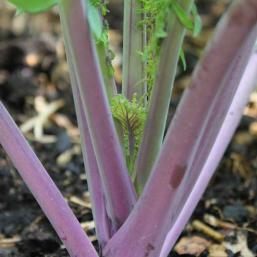 Tender raw stems are popular with my boys who help themselves whilst out in the garden. Companions Corn, peas, broad bean, runner bean, bush bean. 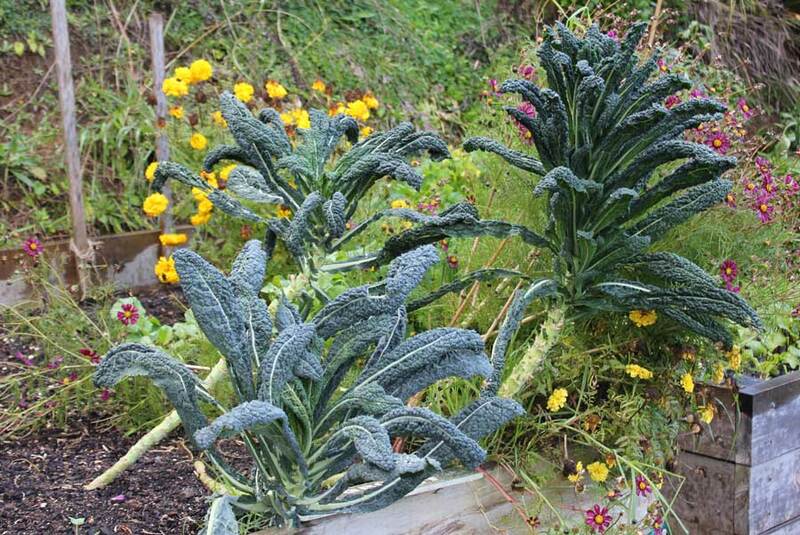 Cavolo nero also known as ‘tree cabbage’ or ‘palm tree cabbage’ this is an incredibly productive heirloom variety. The stem grows upwards and produces very dark green elongated leaves that look like palm fronds. Plants can reach up to 6 feet in height and are productive for up 6 months and sometimes longer. Red Russian an heirloom variety with ragged-looking blue green leaves. When it gets cold, the stems and leaf veins turn a striking red hue. Very sweet and succulent. 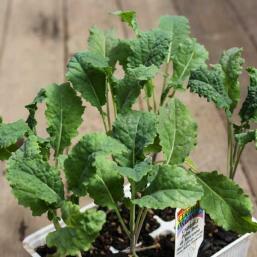 Winterbor a very frost hardy hybrid variety with lush, curled green leaves that are particularly tender and juicy after a frost. 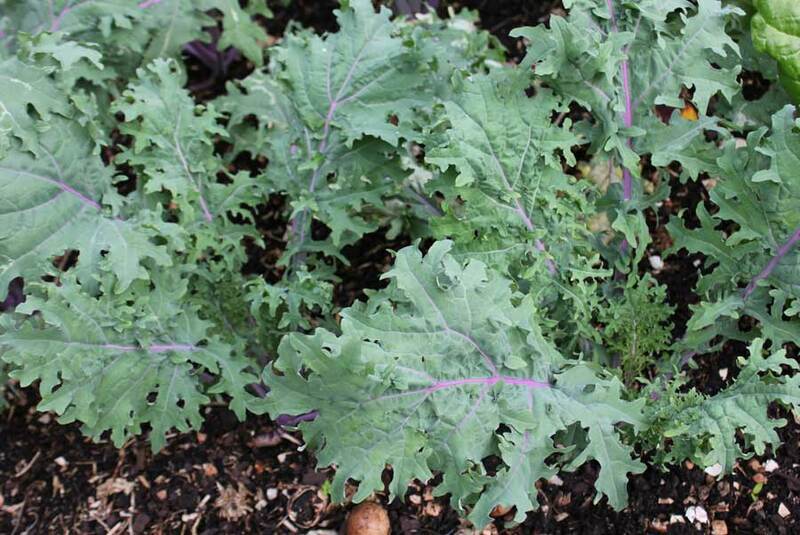 Squire an heirloom variety that produces heavy crops of very curly, bluish green laves. 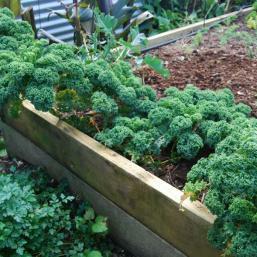 Especially good for growing through winter. 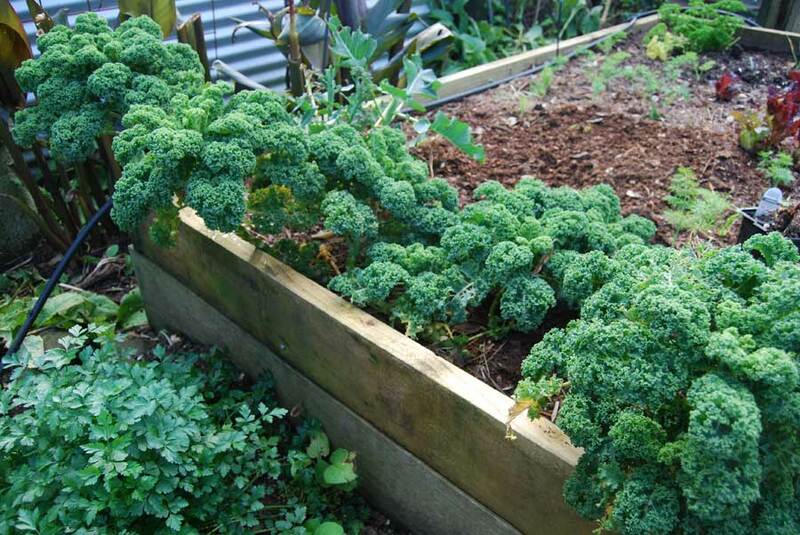 Kale can be grown all year round thanks to its ability to handle heat and humidity as well as winter cold and frosts. It performs best when sown from late winter into spring – Aug to Nov (optimum time in cooler areas) – and autumn – Mar – Jun. 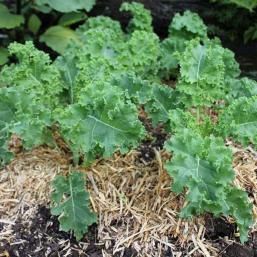 Kale is not too fussy and can grow in full sun as well as partial shade. Plants grow to around knee height depending on soil and variety. 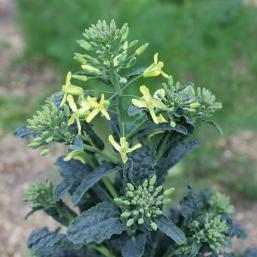 ‘Cavolo nero’ or ‘Walking stick cabbage’ can grow close to head height. 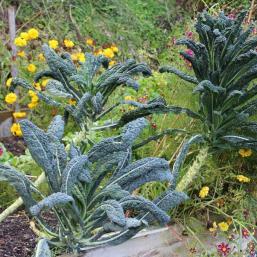 Like cabbages, Kale is a touch on the greedy side and grows best in rich, well-composted soil that does not hold onto moisture for more than say half a day. Ideally, plant it where peas or beans have previously grown so that it can take advantage of all the nitrogen that has been ‘fixed’ into the soil. Soil should be fairly firm so pat down with a rake after digging. This helps them establish strong roots to support a head of hefty foliage. Seed can be sown directly in beds if soil has been well-prepared, sow seeds a finger tip deep and thin them down to about a forearm apart as they sprout and form leaves. 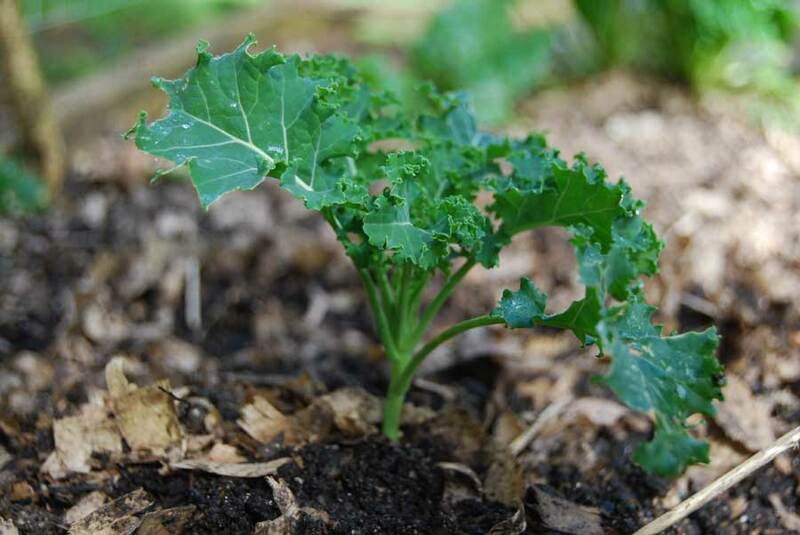 If sowing in wetter months you might want to sow seeds a finger deep in trays or punnets filled with seed compost and then plant out when seedlings are about a finger length in height (this helps plants get off to a good start and often avoids dramatic losses through slug attack). 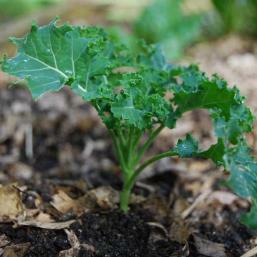 Seedlings should be planted out when they have six or so leaves and look well-rooted and stable in their punnets. To test this, they should stand rather then flop over when you brush the back of your hand against them. 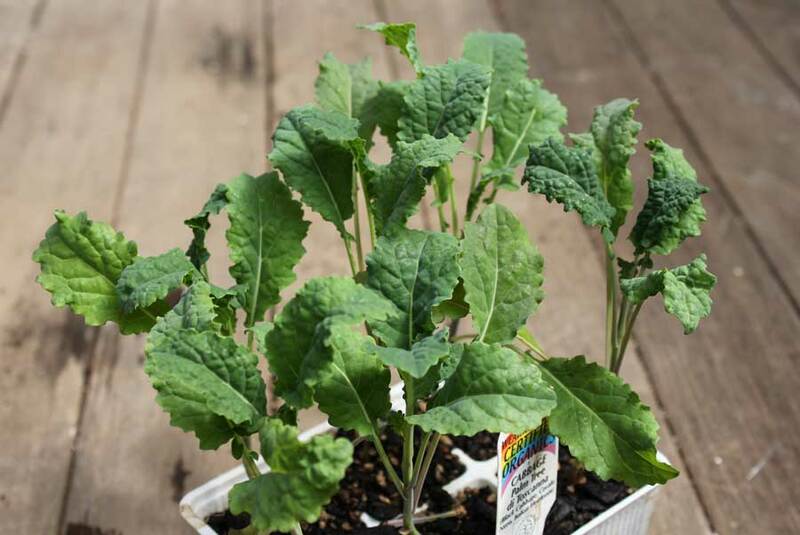 Allow about a forearm by a forearm’s space on the surface of your bed for each seedling (check seed packets or seedling labels as spacing does differ between varieties). Use two fingers or a trowel to make a small hole that is deep enough for the soil to envelope the seedling’s stem to the point where the bottom set of leaves are attached to it. Gently firm the soil around each of your seedlings to ensure good contact with roots. Use a juice bottle cloche if planting in early spring and mulch around your seedlings. I use a hoe to gently keep those early spring weeds down – be careful not to go too deep or too close to your kale plants or you might damage roots. In dry weather it is important to see that your plants get at least a quarter of a watering can every two days. 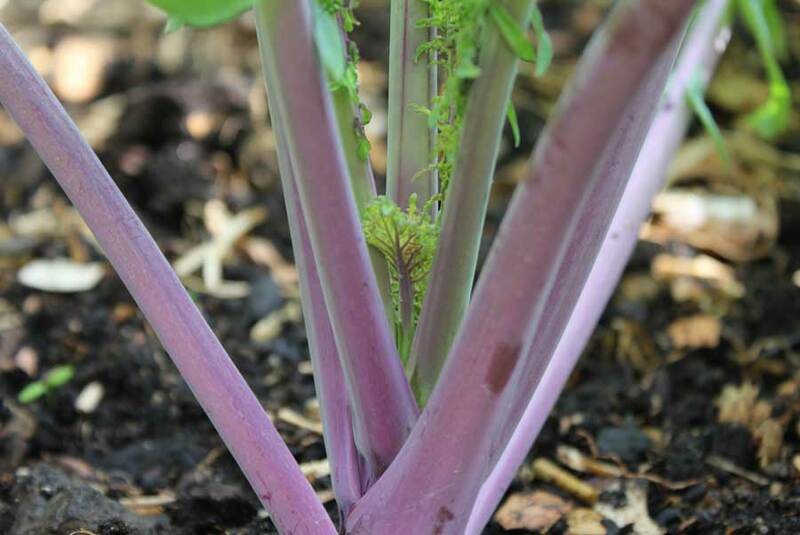 Once foliage starts to crowd the stems and thicken up you can get out your liquid feeds – something with a good dose of nitrogen in it like liquid seaweed or worm juice is good. Give your plants a watering can of diluted feed every two weeks to boost growth. Ensure you firm soil and draw earth up around your seedlings as the stems start to swell – this helps to keep roots strong and firm. 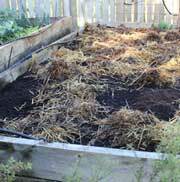 Keep mulching to maintain good soil moisture throughout the growing period. If you see evidence of attack then go on a slug hunt and utilize slug control methods. 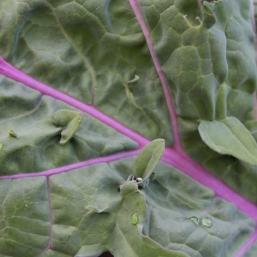 Cabbage white butterflies are the number 1 pest. You can protect your brassicas (cabbages, cauliflowers, broccoli, kale, kohlrabi, cavolo nero) with fine mesh to stop the butterflies laying their eggs on the lush leaves (it’s the caterpillars that do all the damage) or you can arm your kids with badminton rackets and unleash them for a on spot of mobile target practice. Remove any visible caterpillars by hand and feed to garden birds or chickens. Caterpillars can also be deterred by treating leaves with Chilli spray or by giving them a dusting with household flour. 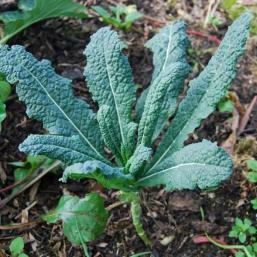 Kale is also susceptible to attacks from aphids. Treat any visible infestations with Neem oil, Garlic oil spray or Tomato leaf spray. 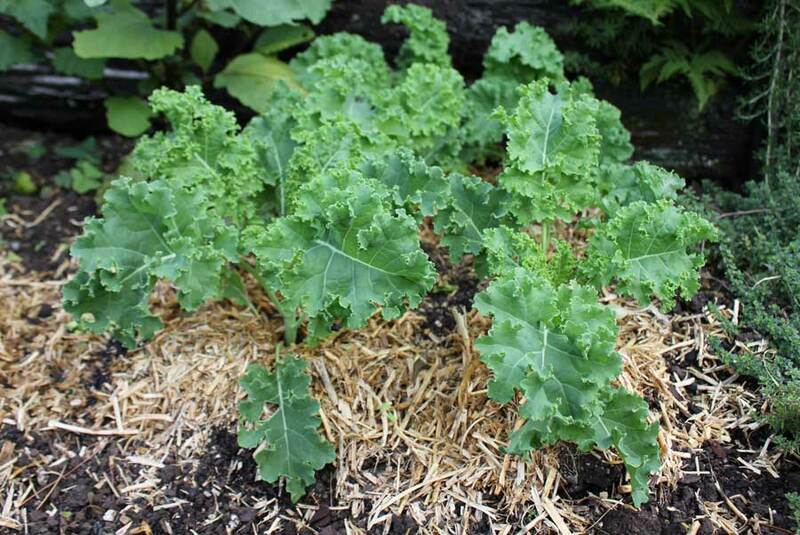 You can start pulling your first leaves from kale within 8 weeks of planting and if you pick regularly the harvest on a single plant can continue for more than a year. 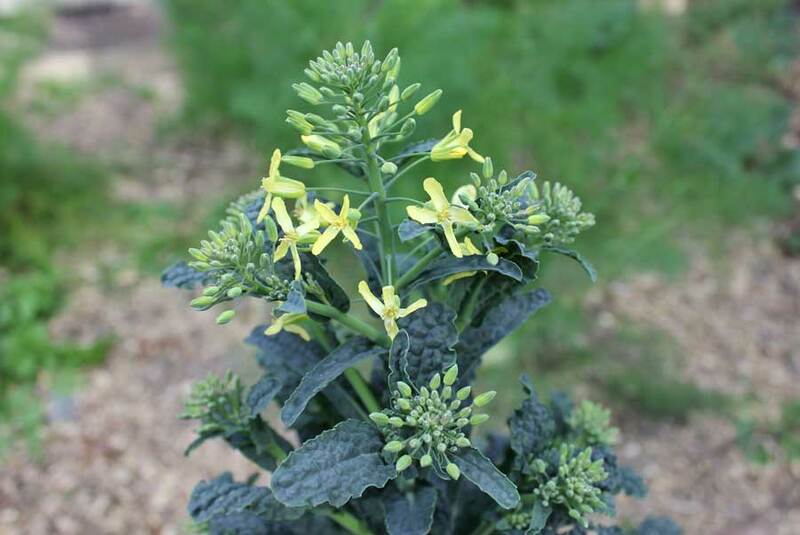 We let the odd ‘Cavolo nero’ plant flower and go to seed and enjoy discovering self-sown plants as they pop up here and there in the garden. The flowers also attract honey bees and other pollinating insects. 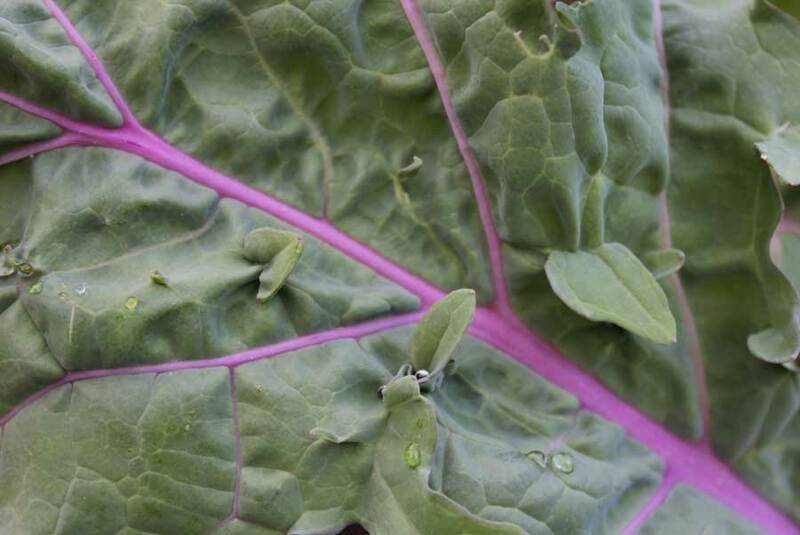 Ladybugs and parasitic wasps are also drawn to flowering brassicas and soon get to work ridding the leaves of nearby of pests such as aphids.